Persistent Systems offers a secure and scalable mobile networking capability based on its cutting-edge Wave Relay MANET Technology. Persistent’s products provide a total solution consisting of voice, video, and situational awareness to mobile users with no reliance on fixed infrastructure. For more than a decade, Persistent has been a pioneer in developing advanced MANET technology and commercializing it in the Defense and Industrial sectors. 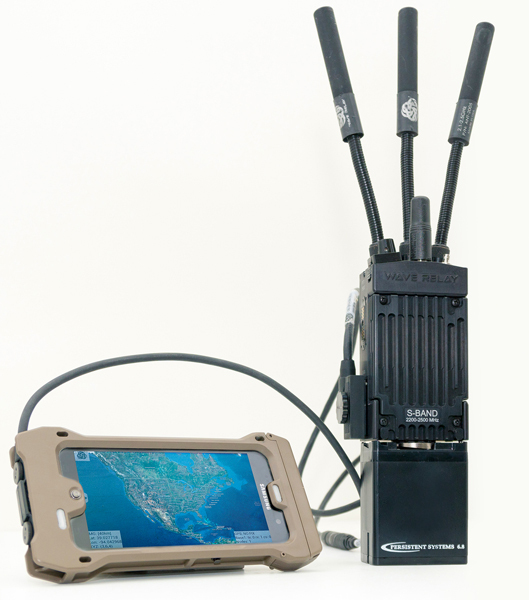 The MPU5 mobile ad hoc networking (MANET) radio has Level 2 Federal Information Processing Standards (FIPS) 140-2 security validation from the National Institute of Standards and Technology, which incorporates cryptographic data security requirements with the additional requirement of physical security mechanisms, such as tamper-evidence. Users in defense, government, public safety, healthcare and other industries with a requirement of FIPS 140-2 Level 2 can use the MPU5 for sensitive data transmission applications. The MPU5 is the most advanced, most scalable, and most efficient Mobile Ad Hoc Networking (MANET) radio in the world. Browse all Persistent Systems equipment in our online store.